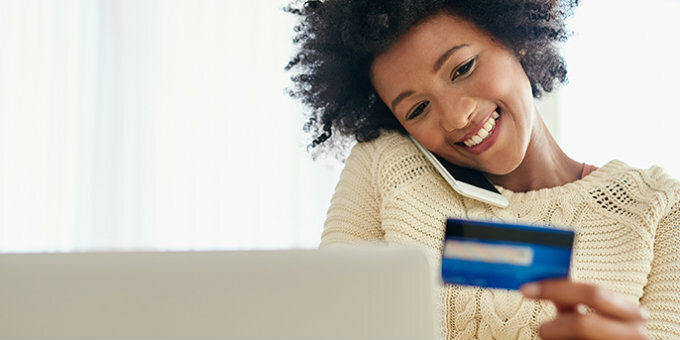 Keep your finances close at hand — literally — with our wide range of online and mobile-friendly services. As many web browsers make updates and changes, we have identified some common errors that will cause issues when using Online Banking. Please follow these suggestions or call any of our Branches for assistance. If you are using Internet Explorer 9, 10, or 11, you may be deleting your cookies automatically and will need to change that setting in order to more easily access online banking (To stop entering the verification questions each time). Put the Check Mark next to "Always Allow Session Cookies"
If your system is running in Compatibility View Mode it may give you errors in Online Banking. Here is how you turn-off that mode. Click on Compatibility View Mode, it is a toggle switch. You want the checkmark to disappear. Click on Content Settings, Click the arrow besides Cookies, make sure "allow site to save cookies is on"
If you are still experiencing issues, please contact our branches by calling 717-248-5445. Take care of your banking while on the move or from the comfort of your couch. Available for most Apple® and Android™ devices. Log into our online banking and navigate to “My Settings” link at the top of the page. Review and accept the terms of condition to continue. Search "mcs-bank" and download the free app. Enroll for text-based banking from your online profile. After enrolling for text-based banking, you can send text commands to 48179. Text commands such as BAL to 48179 for the balances of your accounts. For a full list of text commands text HLP to 48179. If you experience any issues with enrollment or login, please contact customer service at 717- 248-5445. Open the MCSB mobile app. Select the Camera button at the bottom right to capture the image. Ensure the image is in focus or clear and select "Use Photo;" otherwise, select "Retake.” Repeat to capture the back of the check. Once the images are captured, select the "Use Photo" button to automatically send images to MCS Bank. Keep the check until you have seen the deposit post to your account. Learn more about mobile banking security in our FAQ. Due to new banking regulations in our industry, beginning June 25, 2018, when depositing a check using the mobile app, you will be required to write "For mobile deposit to MCS Bank only" below your signature, to successfully complete your deposit. Checks without this information will be rejected; a communication will be set to you notifying you of the rejected deposit. Paper bank statements generate clutter and use a lot of paper. There's a better way: MCS Bank eStatements. They're simple, secure, online versions of your bank statement — only sent digitally rather than through the post office. Popmoney® lets you securely transfer funds to a recipient with just a few clicks of your mouse. All you need is a checking account and internet access.